If you were on Pluto, you'd probably have the worst ' case of the Mondays,' with a full day on Monday lasting about 6.4 Earth days long. 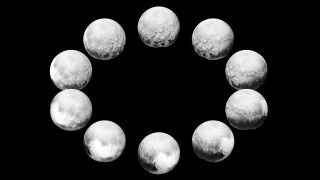 NASA has released a series of 10 images (shown above) that gives us a glimpse of this near-week-long day on Pluto, showing us a full rotation of the dwarf planet. The images were taken by the Long Range Reconnaissance Imager (LORRI) and the Ralph/Multispectral Visible Imaging Camera as New Horizons approached Pluto earlier this year in July, with the planet between 400,000 and 5 million miles while the photos were taken. 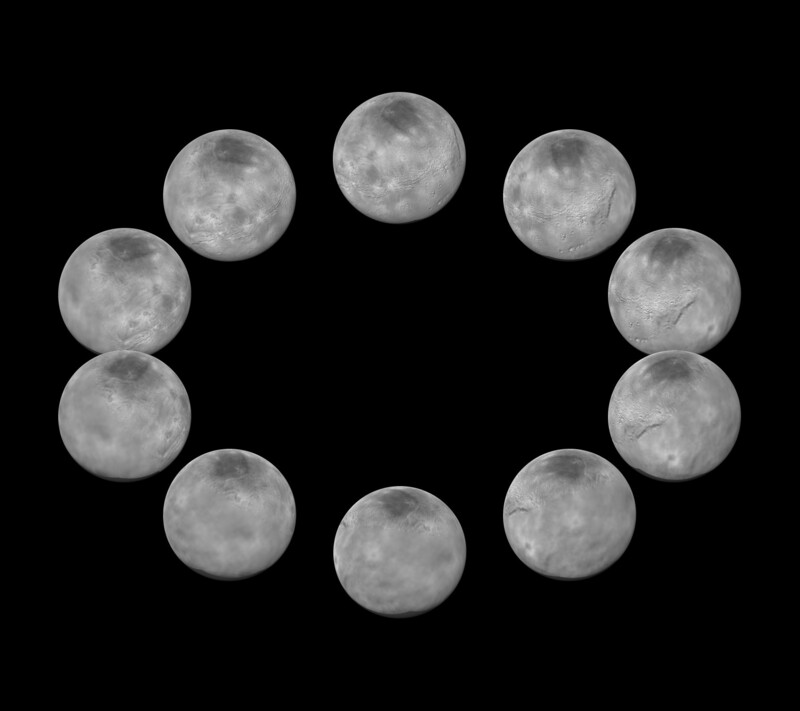 The image shows Pluto when New Horizons was closest to the dwarf planet, which you can see at the 6 o'clock position showing the top of the heart-shaped, informally named Tombaugh Regio. The "far side" hemisphere, or the hemisphere furthest away from New Horizons is at the 12 o'clock position, showing us a more cratered region. "These images and others like them reveal many details about Pluto, including the differences between the 'encounter hemisphere' and the so-called 'far side' hemisphere seen only at lower resolution," NASA said. NASA also released another series of images, showing the full rotation of Pluto's moon Charon, which shares a similar rotation speed as the dwarf planet, which you can see here.